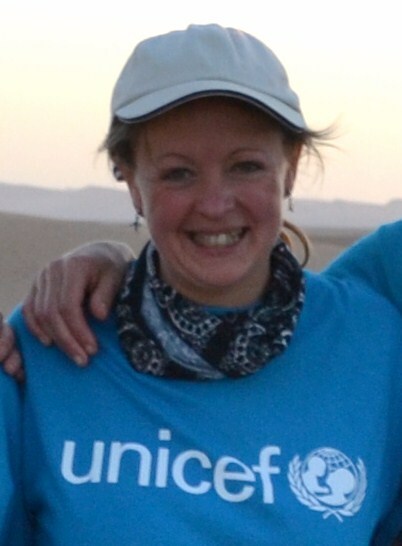 Trekking for UNICEF – a great fundraising experience! Since doing my Sahara trek for UNICEF last November, I’ve been keen to find other ways of combining adventurous travel with “giving something back”. So I’ve been looking into volunteering, perhaps in Africa, Mongolia or South America. But after extensive research and asking-around, I’ve been decidedly discouraged by my findings. Googling the word “volunteer” brings up swathes of companies worldwide who will organise your volunteering experience, whether it’s working with orphaned kids in Malawi, teaching English to Tongan students, helping out on an archaeological dig in Peru, or tracking endangered dolphins off Mombasa. The experiences all look amazing – but I was staggered by some of the costs quoted. In many cases, a couple of weeks volunteering would cost more than a decent holiday in a nice hotel with all the trimmings. And for someone like me, wanting to dedicate perhaps three or six months to a worthwhile project, the accumulative costs become, quite simply, prohibitive. I totally understand these companies have “administrative costs” they must cover. But when I’m paying for my own flight, living in very basic accommodation, and giving a huge chunk of my time (and skills) for free, I’m struggling to see why I have to pay someone such exorbitant fees for that “privilege”. Sadly, volunteering seems to be largely the domain of those who can afford it, rather than those with a genuine desire to give something back. And when it’s going to cost me an arm and a leg financially, it does somehow deflate the “goodwill bubble”. Got a view on this? I’d love to hear it, so do post a comment below! This entry was posted in Adventure Travel and tagged fundraising, UNICEF, volunteer, volunteering on June 13, 2011 by Jeanie Davison. I can only hope to be able to do more volunteering and travelling in the future. What I did this past summer was to give back in a different way. Check my website http://www.road2blue.com. I wanted to raise awareness of clinical depression and suicide in teens. The motorcycle ride to Canada’s most remote area was the “hook” to get people to listen to what I had to say. I now have a presentation that I make to service clubs and other organizations who come to hear about my journey but learn a lot about mental health as well. Not quite the same as building a house for someone, teaching them to grow their own food or developing a water well but it is a way of getting a message out to people who might not otherwise hear it. Good luck in your quest. Your story is a great example of how volunteering CAN work. And how great to use motorcycling as a means to do good and raise awareness. I love it. Sounds like yours is an ongoing endeavour, so I wish you all the very best with it. Fantastic stuff. When looking into volunteering you have to look beyond costs sometimes. While some organisations might be ploughing the money back into advertising (and their own pockets), others might be donating a good sized chunk of it to the project itself, in order to ensure the sustainability of it. This can be just as important as your assistance on the ground. However, volunteering doesn’t have to just be for the rich, but finding the smaller grass-roots projects takes a bit more research as they don’t spend as much money on advertising. They are out there though, so keep looking for them. Don’t be put off volunteering by the costs, but do make sure that you check out the organisations properly & ensure they’re worthy of your time & money. For more information on what to look for (& ask about), check out my website: http://www.travelopine.com. I agree Jeanie, volunteering has become a thing for the rich and financially well off….BUT, not in all cases. Depending on your skill set and who you decide to give time to it isn’t. I have been a part of MSF – Medecins Sans Frontieres, or Doctors without Borders, my expenses were paid, and I recieved a small wage. That may take it out of the realm of volunteerism, but you are giving back a skill set, and the money comes from donations. Volunteering: Why So Expensive? Because its become a business that has people work for free and pay for the privilege Its an ever expanding thing even in the workplace.